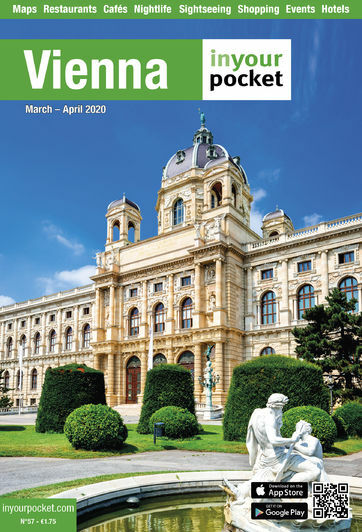 Vienna In Your Pocket offers a selection of sports, concerts, live music, events, club nights and exhibitions in Vienna. We in general welcome submissions, so if you have an event you want to publicise, however big or small, you can do so here: absolutely free. Send details of your event to vienna@inyourpocket.com. Open 14:00-19:00, Thu 14:00-21:00, Sat, Sun 11:00-19:00. Closed Mon. Open 10:00 – 18:00, Thu 10:00 - 21:00. Closed Tue. Open 10:00-19:00, Mon 14:00-19:00, Thu 10:00-21:00.